Ephedra has been used in both eastern and western medicine for thousands of years. The active constituents (ephedrine and pseudoephedrine) act as sympathomimetics: like adrenalin, they stimulate the sympathetic nervous system, but the effects are milder and last hours. Ephedra is primarily used as a decongestant for ailments of the respiratory system associated with mucous and phlegm, including colds, flus, seasonal allergies and asthma. Ephedra causes vasoconstriction of the capillaries of the mucous membrane, thus reducing the influx of water in the interstitial fluid that causes congestion. It also acts as a bronchodilator to open the airways, improving gas exchange. Most "day-time" sinus and cold medicine contain synthetic forms of ephedrine and pseudoephedrine. 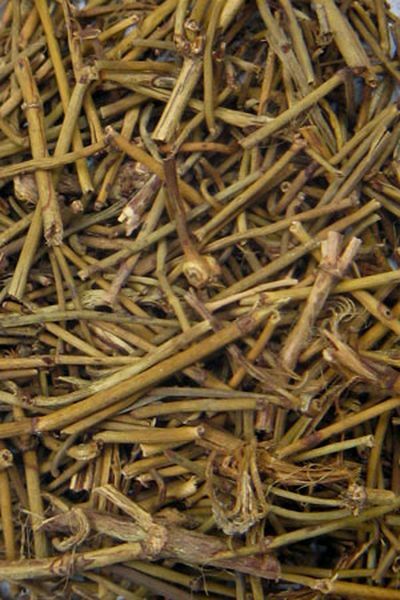 Ephedra is a potent herb and should be used with caution. In addition to the respiratory system, ephedra stimulates metabolism resulting in weight loss. However, it is banned as a weight loss supplement in many countries because it also stimulates the cardiovascular system, resulting in increased heart rate, hypertension and even death in rare circumstances, when used incorrectly. Ephedra is contra-indicated with certain conditions and medications.